During World War Two, a large part of the Battle of the Atlantic took place in the waters off North Carolina's Outer Banks. In fact, the patrol of German U-boats along Cape Hatteras marked the closest that the war came to the American mainland. To this day, the remains of Allied, Axis, and merchant vessels can still be found along the North Carolina coast. The focus of this year's expedition is the Battle of Convoy KS-520. During the fateful days of July 14- 19, 1942, Allied vessels and patrol aircraft came into direct contact with a gray wolf, a German U-boat that was patrolling the waters off North Carolina. Action from Allied and Axis forces resulted in the sinking of the Bluefields, U-576, J.A. Mowinckel, Chilore, and a US Navy tug, the Keshena. Since their untimely descent, these vessels have remained on the bottom of the Atlantic Ocean as constant reminders of the losses that both Axis and Allied forces experienced during World War Two. However, they also exhibit something remarkable: an underwater battlefield. For the first time, these expedition scientists will study a maritime battleground off the coast of North Carolina. Follow along as these historical events and unsolved mysteries are unraveled! The 2011 expedition will be the most incredible Battle of the Atlantic Expedition yet! Previous expeditions by NOAA's Office of National Marine Sanctuaries have resulted in amazing pictures, video, images, and tools that will help scientists monitor these vessels over time. This summer's efforts will continue and build upon that work in four legs, or parts. The project will begin with a large area survey where shipwrecks will be nothing but spots on a map and will finish with high definition, 3D video of individual vessels. Battle of the Atlantic in North Carolina Waters from UNC-CSI on Vimeo. Big picture. The first leg of the expedition involves a wide area remote sensing survey that will give researchers a 'big picture' or birds-eye-view of the battlefield area. The equipment deployed will not provide a detailed picture of individual wrecks, but it will cover a very large area of the seafloor instead. In fact, the sonar system that researchers will be using is capable of scanning 1000 meters (≈ 3281 feet) of the seafloor in a single pass. Covering such a large area is necessary because the Battle of Convoy KS-520 took place over such great distances. Therefore, if scientists expect to find the remains of individual vessels, they first need to observe large parts of the ocean floor to see where potential wrecks might be located. The sonar system will be attached to an Autonomous Underwater Vehicle (AUV) under the control of scientists onboard the research vessel. Much like a lawnmower making several passes across a yard to cut the grass, the research vessel and the AUV will continue back-and-forth over a specific area of the ocean. After many passes with the sonar system, a large image of the ocean bottom will be generated. In addition to the AUV and sonar system, a magnetometer will be pulled behind the research vessel to detect objects that are made of iron. Using the image from the sonar system and the magnetometer, researchers will be able to identify any objects of interest that they want to take a closer look at during leg two of the expedition. 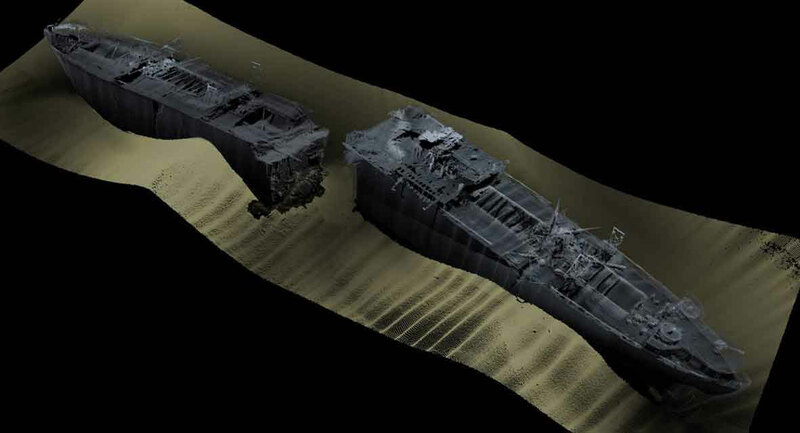 During this phase, researchers will 'zoom-in' on specific shipwrecks. 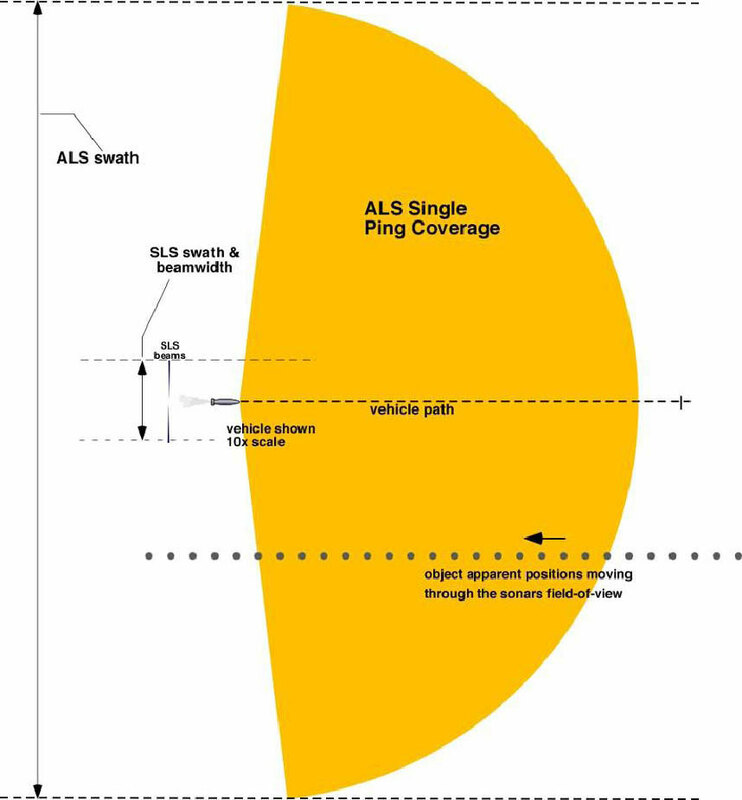 To do this, two multibeam sonar systems will be attached to an AUV. The multiple sonar systems will make several passes over the same shipwreck creating a very detailed image of each shipwreck. 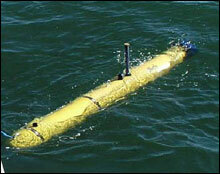 The AUV that researchers will use during this leg will also have an underwater mass spectrometer attached to it. This device is able to detect hydrocarbons in the water, which can help determine whether or not a shipwreck may potentially be polluting the environment from fuel and oil that remains inside the vessel as it sits on the seafloor. Wow! Researchers will conduct high-resolution, multibeam sonar surveys that will produce 3D models of individual sites. These images are stunning and will be the most detailed of any phase of the expedition. The models will allow researchers to learn more about each vessel and serve as excellent education and outreach tools as viewers can actually see the vessels as they now rest on the bottom of the ocean. Details! 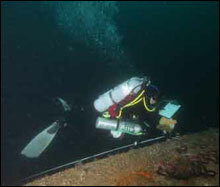 This leg of the project will actually put SCUBA divers in the water to film specific shipwrecks. Scientific divers will use high definition video cameras and a Remotely Operated Vehicle (ROV) to record 3D video. These videos will be used to create detailed pictures that researchers can use to monitor changes in that vessel over time. The 3D videos will also make exceptional education and outreach tools. In addition to the archaeology that will be conducted this summer, biological surveys will be going on as well. Last summer, temperature data loggers were placed at five shipwrecks and they have been collecting temperature information for the entire year! Researchers will gather those data loggers and replace them with new ones, allowing us to collect temperature data for another year. Over time, the temperature data will help tell the story of what goes on off the coast of the Outer Banks throughout the year. The information may reveal how close the Labrador Current or the Gulf Stream is coming to the coast, or why different species of fish can be found off the North Carolina coast in November than in May. The temperature data is also valuable to archaeologists. As they study and monitor shipwrecks off the coast of North Carolina, the information may help them to understand the role that temperature plays in the corrosion and decomposition of these underwater vessels. Building upon the work from last year, scientists will conduct biological surveys of additional World War Two shipwreck sites. To learn more about wrecks as reefs and how these surveys are conducted, visit the link on the 2010 MNMS Expedition website. 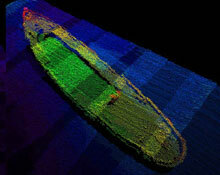 Battle of the Atlantic Biological Survey from UNC-CSI on Vimeo.